Input text: 1st 5 foot tall stream is -2.1 feet in front of elephant. It is -5.5 feet above and -5.4 feet left of elephant. 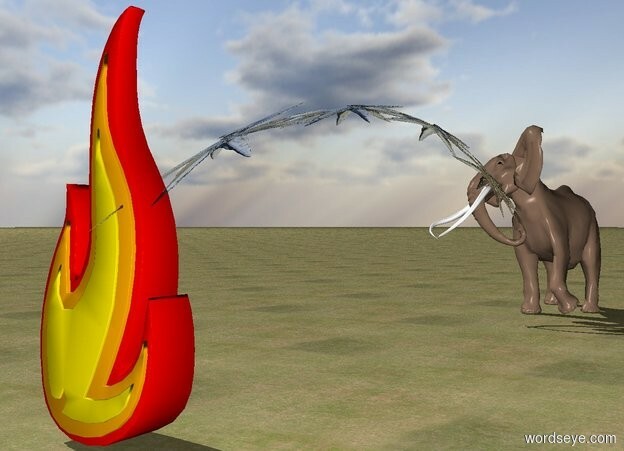 A 10 foot tall fire is 24 feet in front of the elephant. The ground is grass. great positioning of the stream!